English musician, singer and songwriter and Lead singer of Indie rock band Florence+The Machine, Florence Leontine Mary Welch was born 28 August 1986. She rose to fame as the lead singer of Florence + the Machine, an English indie rock band. The band’s debut album, Lungs, was released in 2009; on January 17, 2010, the album reached the top position, after being on the chart for 28 consecutive weeks. The group’s second studio album, Ceremonials, released in October 2011, debuted at number one in the UK and number six in the United States. According to Welch, the “Florence + the Machine” as a band name “started off as a private joke that got out of hand. I made music with my friend, who we called Isabella Machine to which I was Florence Robot. When I was about an hour away from my first gig, I still didn’t have a name, so I thought ‘Okay, I’ll be Florence Robot/Isa Machine’, before realising that name was so long it’d drive me mad.” In 2006 Welch’s performances with Summers in small London venues under the joint name Florence Robot/Isa Machine began to attract notice. in 2007 Welch recorded with a band named Ashok, who released an album titled Plans on the Filthy Lucre/About Records label. This album included the earliest version of her later hit “Kiss with a Fist”, which at this point was titled “Happy Slap” She signed a contract for Ashok with a manager, but feeling that she was “in the wrong band” she resigned, which cancelled the contract Florence and the Machine is managed by Mairead Nash (one half of the DJ duo Queens of Noize), who decided to manage the singer when an inebriated Welch followed Nash into the toilets at a club and sang Etta James’ 1962 song “Something’s Got a Hold on Me”. Florence and the Machine released their debut album Lungs in the United Kingdom on July 6, 2009. The album was officially launched with a set at the Rivoli Ballroom in Brockley, South East London. It peaked at number one in the UK and number two in Ireland. As of August 6, 2009, the album had sold over 100,000 copies in the UK and by 10 August it had been at number two for five consecutive weeks The album was produced by James Ford, Paul Epworth, Steve Mackey and Charlie Hugall .Welch contributed vocals to David Byrne and Fatboy Slim’s 2010 album Here Lies Love, an album about Imelda Marcos As of January 2011, Welch was working with Drake on material slated for his upcoming record.The band’s second album, Ceremonials, was released on October 31, 2011. It debuted at number one on the UK Albums Chart and number six on the US Billboard 200.On 12 January 2012, Florence and the Machine were nominated for two Brit Awards, with theawards ceremony taking place on 21 February 2012 at the O2 Arena, London. On 26 April 2012, the band released “Breath of Life”, a song which was recorded as the official theme song for the film Snow White and the Huntsman. On 5 July 2012, a remix of “Spectrum (Say My Name)” by Scottish musician Calvin Harris was released as the fourth single from Ceremonials, becoming the band’s first UK number-one hit. In October 2012, she featured on Scottish singer-songwriter and producer Calvin Harris’s song “Sweet Nothing”, which debuted and peaked at number one on the UK singles chart, marking Welch’s second number one. The song was taken from Harris’s third studio album 18 Months and is the fifth single from the album. “Sweet Nothing” also peaked at number one in Ireland and number two inAustralia and New Zealand. “Sweet Nothing” was certified Platinum in Australia. They made love several times during the recording.Florence has been compared to other female singers such as Kate Bush, Siouxsie Sioux, PJ Harvey, and Björk. During an interview, Welch cited Grace Slick as her influence and “hero”. Florence and the Machine’s style has been described as “dark, robust and romantic”. Their music is a mix of “classic soul and midnight-on-the-moors English art rock”. Florence Welch stated that her lyrics related to Renaissance artists : “We’re dealing with all of the same things they did : love and death, time and pain, heaven and hell”. Florence and the Machine’s albums include Lungs, Ceremonials, How Big, How Blue, How Beautiful and High as Hope. 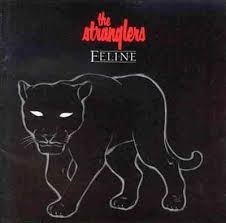 Hugh Cornwell lead singer with English Punk rock band the Stranglers was born 28 August. 1949 He startted his musical career in the band Johnny Sox but after reading an advertisement in the Melody Maker magazine. Cornwell joined Jet Black in The Stranglers in 1974.The Stranglers have had some 23 UK top 40 singles and 17 UK top 40 albums to date in a career spanning four decades, the Stranglers are the longest-surviving and most “continuously successful” band to have originated in the UK punk scene of the mid to late 1970s. Beginning life as the Guildford Stranglers on 11 September 1974 in Guildford, Surrey, they originally built a following within the mid-1970s pub rock scene. While their aggressive, no-compromise attitude identified them as one of the instigators of the UK punk rock scene that followed, their idiosyncratic approach rarely followed any single musical genre and the group went on to explore a variety of musical styles, from New Wave,art rock and gothic rock through the sophisticated pop of some of their 1980s output. They had major mainstream success with their single “Golden Brown”. Their other hits include “No More Heroes”, “Peaches”, “Always the Sun” and “Skin Deep”.The Stranglers’ early sound was driven by Jean-Jacques Burnel’s melodic bass, but also gave prominence to Dave Greenfield’s keyboards at a time when the instrument was seen as unfashionable. Their early music was also characterised by the growling vocals and sometimes misanthropic lyrics of both Jean-Jacques Burnel and Hugh Cornwell. Over time, their output gradually grew more refined and sophisticated. Summing up their contribution to popular music, critic Dave Thompson later wrote: “From bad-mannered yobs to purveyors of supreme pop delicacies, the group was responsible for music that may have been ugly and might have been crude – but it was never, ever boring.”His style is usually simple and jazz-influenced, although “Duchess” and “Down in the Sewer” are examples of Stranglers songs that feature more frantic drumming. In the mid-1980s, Black elected to cease playing acoustic drums in the recording studio and used aSimmons kit triggered by pick-ups, most notably on the Feline and Aural Sculpture albums. In 1990 Hugh Cornwell decided that the band could go no further artistically. He recorded the album 10 with the band before leaving after sixteen years. After leaving The Stranglers, Cornwell worked with Roger Cook and Andy West as CCW. Their self-titled album was released in 1992, with five tracks co-produced by Neil Davidge. Cornwell has released several solo albums including Wolf (1988) produced by Ian Ritchie, Wired (1993), Guilty (1997), Hi Fi (2000), Footprints in the Desert (2002), Mayday (2002), In the Dock (2003), and Beyond Elysian Fields (2004). Wired, Guilty and Hi Fi were released under different names, and with slightly different track listings, in the United States. Beyond Elysian Fields was initially released by Track Records in the UK, followed by Invisible Hands Music in the rest of the world, with expanded artwork. In 2006 a live album in two forms appeared: People Places Pieces, a triple CD box set, accompanied by a simultaneously released mass-market highlights disc, Dirty Dozen. The 12-track highlights disc, Live It and Breathe It, was released in 2005 in advance of the box set. In December 2006, Cornwell toured with Blondie in the UK, and in September 2007 with Robert Williams. Three new songs were previewed, “Bangin’ On”, “Please Don’t Put Me On A Slow Boat To Trowbridge” and “Delightful Nightmare”. After this tour, the drum stool was taken over by Chris Bell, with bassist Caroline Campbell completing the current trio. In June 2008, Cornwell followed in the footsteps of Radiohead and Nine Inch Nails by offering his new album Hooverdam as a free download on his website.. The album was accompanied by a film, Blueprint, which depicted the recording process of the album. Cornwell explained that the film was partly motivated by the risible quality of DVDs accompanying contemporary CD releases. Blueprint borrows from Godard’s “Sympathy For The Devil” and Jewison’s The Thomas Crown Affair”. The film had a limited theatre release in June 2008, with Cornwell attending each screening and taking part in a Q&A session at the end of the film. In February and March 2009, with the rhythm section of Campbell and Bell, Cornwell took Hooverdam on a tour of the UK and France. On 26 June 2009 they played at the Glastonbury Festival. In late 2009, Cornwell and his band toured the US and the UK playing Both Hooverdam and Rattus Norvegicus (album) albums. In 2010, Cornwell toured the US with Steve Fishman on bass and vocals and Clem Burke from Blondie on drums. At the Mercury Lounge they were also joined onstage with Tim Wheeler. Hugh Cornwell’s latest album solo “Totem & Taboo was released 10 September 2012. Pioneering Russian inventor Léon Theremin was born Lev Sergeyevich Termen in Saint Petersburg, Russian Empire in 15 August 1896 into a family of French and German ancestry.He had a sister named Helena.He started to be interested in electricity at the age of 7, and by 13 he was experimenting with high frequency circuits. In the seventh class of his high school before an audience of students and parents he demonstrated various optical effects using electricity.By the age of 17 he was in his last year of high school and at home he had his own laboratory for experimenting with high frequencircuits, optics and magnetic fields. His cousin, Kirill Fedorovich Nesturkh, then a young physicist, and a singer named Wagz invited him to attend the defense of the dissertation of professor Abram Fedorovich Ioffe. Physics lecturer Vladimir Konstantinovich Lebedinskiy had explained to Theremin the then interesting dispute over Ioffe’s work on the electron.On 9 May 1913 Theremin and his cousin attended Ioffe’s dissertation defense. Ioffe’s subject was on the elementary photoelectric effect, the magnetic field of cathode rays and related investigations. In 1917 Theremin wrote that Ioffe talked of electrons, the photoelectric effect and magnetic fields as parts of an objective reality that surrounds us everyday, unlike others that talked more of somewhat abstract formula and symbols. Theremin wrote that he found this explanation revelatory and that it fit a scientific – not abstract – view of the world, different scales of magnitude, and matter. From then on Theremin endeavoured to study the Microcosm, in the same way he had studied the Macrocosm with his hand-built telescope. Later, Kyrill introduced Theremin to Ioffe as a young experimenter and physicist, and future student of the university. Theremin recalled that while still in his last year of school, he had built a million-volt Tesla coil and noticed a strong glow associated with his attempts to ionise the air. He then wished to further investigate the effects using university resources. A chance meeting with Abram Fedorovich Ioffe led to a recommendation to see Karl Karlovich Baumgart, who was in charge of the physics laboratory equipment. Karl then reserved a room and equipment for Theremin’s experiments. Abram Fedorovich suggested Theremin also look at methods of creating gas fluorescence under different conditions and of examining the resulting light’s spectra. However, during these investigations Theremin was called up for World War I military service.Despite Theremin being only in his second academic year, the deanery of the Faculty of Physics and Astronomy recommended him to go to the Nikolayevska Military Engineering School in Petrograd (renamed from Saint Petersburg), which usually only accepted students in their fourth year. Theremin recalled Ioffe reassured him that the war would not last long and that military experience would be useful for scientific applications. During the Russian civil war, in October 1919 White Army commander Nikolai Nikolayevich Yudenich advanced on Petrograd from the side of Detskoye Selo, apparently intending to capture the radio station to announce a victory over the Bolsheviks. Theremin and others evacuated the station, sending equipment east on rail cars. Theremin then detonated explosives to destroy the 120 meter-high antennae mast before traveling to Petrograd to set up an international listening station. There he also trained radio specialists but reported difficulties obtaining food and working with foreign experts who he described as narrow-minded pessimists. Theremin recalled that on an evening when his hopes of overcoming these obstructing experts reached a low ebb, Abram Fedorovich Ioffe telephoned him. [Ioffe asked Theremin to come to his newly founded Physical Technical Institute in Petrograd, and the next day he invited him to start work at developing measuring methods for high frequency electrical oscillations. The day after Ioffe’s invitation, Theremin started at the institute. He worked in diverse fields: applying the Laue effect to the new field ofX-ray analysis of crystals; using hypnosis to improve measurement-reading accuracy; working with Ivan Pavlov’s laboratory; and using gas-filled lamps as measuring devices. He built a high frequency oscillator to measure the dielectric constant of gases with high precision; Ioffe then urged him to look for other applications using this method, and shortly made the first motion detector for use as a”radio watchman”.while adapting the dielectric device by adding circuitry to generate an audio tone, Theremin noticed the pitch changed when his hand moved around. In October 1920 he first demonstrated this to Ioffe who called in other professors and students to hear. Theremin recalled trying to find the notes for tunes he remembered from when he played the cello, such as the Swan by Saint-Saëns. By November 1920 Theremin had given his first public concert with the instrument, now modified with a horizontal volume antenna replacing the earlier foot-operated volume control. He named it the “etherphone” to be known as the Терменвокс (Termenvox) in the Soviet Union, as the Thereminvox in Germany,and later as the “theremin” in the United States. Theremin went to Germany in 1925 to sell both the radio watchman and Termenvox patents to the German firm Goldberg and Sons. According to Glinsky this was the Soviet’s “decoy for capitalists” to obtain both Western profits from sales and technical knowledge. During this time Theremin was also working on a wireless television with 16 scan lines in 1925, improving to 32 scan lines and then 64 using interlacing in 1926, and he demonstrated moving, if blurry, images on 7 June 1927.After being sent on a lengthy tour of Europe starting 1927 – including London, Paris and towns in Germany– during which he demonstrated his invention to full audiences, Theremin found his way to the United States, arriving on 30 December 1927 with his first wife Katia.He performed the theremin with the New York Philharmonic in 1928. He patented his invention in the United States in 1928 and subsequently granted commercial production rights to RCA.Theremin set up a laboratory in New York in the 1930s, where he developed the theremin and experimented with other electronic musical instruments and other inventions. These included the Rhythmicon, commissioned by the American composer and theoristHenry Cowell.In 1930, ten thereminists performed on stage at Carnegie Hall. Two years later, Theremin conducted the first-ever electronic orchestra, featuring the theremin and other electronic instruments including a “fingerboard” theremin which resembled a cello in use.Theremin’s mentors during this time were some of society’s foremost scientists, composers, and musical theorists, including composerJoseph Schillinger and physicist (and amateur violinist) Albert Einstein. At this time, Theremin worked closely with fellow Russian émigré and theremin virtuoso Clara Rockmore. Theremin was interested in a role for the theremin in dance music. He developed performance locations that could automatically react to dancers’ movements with varied patterns of sound and light.Theremin abruptly returned to the Soviet Union in 1938. At the time, the reasons for his return were unclear; some claimed that he was simply homesick, while others believed that he had been kidnapped by Soviet officials. Beryl Campbell, one of Theremin’s dancers, said his wife Lavinia “called to say that he had been kidnapped from his studio” and that “some Russians had come in” and that she felt that he was going to be spirited out of the country. Many years later, it was revealed that Theremin had returned to his native land due to tax and financial difficulties in the United States.However, Theremin himself once told Bulat Galeyev that he decided to leave himself because he was anxious about the approaching war.Shortly after he returned he was imprisoned in the Butyrka prison and later sent to work in the Kolyma gold mines. Although rumors of his execution were widely circulated and published, Theremin was, in fact, put to work in a sharashka (a secret laboratory in the Gulag camp system), together with Andrei Tupolev, Sergei Korolev, and other well-known scientists and engineers. ]The Soviet Union rehabilitated him in 1956. During his work at the sharashka, where he was put in charge of other workers, Theremin created the Buran eavesdropping system. A precursor to the modern laser microphone, it worked by using a low power infrared beam from a distance to detect the sound vibrations in the glass windows. Lavrentiy Beria, the head of the secret police organization NKVD(the predecessor of the KGB), used the Buran device to spy on the British, French and US embassies in Moscow.According to Galeyev, Beria also spied on Stalin; Theremin kept some of the tapes in his flat. In 1947, Theremin was awarded the Stalin prize for inventing this advance in Soviet espionage technology.Theremin invented another listening device called The Thing. Disguised in a replica of theGreat Seal of the United States carved in wood, in 1945 Soviet school children presented the concealed bug to U.S. Ambassador as a “gesture of friendship” to the USSR’s World War II ally. It hung in the ambassador’s residential office in Moscow, and intercepted confidential conversations there during the first seven years of the Cold War, until it was accidentally discovered in 1952. After his “release” from the sharashka in 1947, Theremin volunteered to remain working with the KGB until 1966. By 1947 Theremin had remarried, to Maria Guschina, his third wife, and they had two children: Lena and Natalia. After working for the KGB, Theremin worked at the Moscow Conservatory of Music for 10 years where he taught, and built theremins,electronic cellos and some terpsitones (another invention of Theremin).There he was discovered by Harold Schonberg, the chief music critic of The New York Times, who was visiting the Conservatory. But when an article by his hand appeared, the Conservatory’s Managing Director declared that “electricity is not good for music; electricity is to be used for electrocution” and had his instruments removed from the Conservatory. Further electronic music projects were banned, and Theremin was summarily dismissed. In the 1970s, Léon Theremin was a Professor of Physics at Moscow State University (Department of Acoustics) developing his inventions and supervising graduate students. After 51 years in the Soviet Union Theremin started travelling, first visiting France in June 1989 and then the United States in 1991, each time accompanied by his daughter Natalia. Theremin was brought to New York by filmmaker Steven M. Martin where he was reunited with Clara Rockmore. He also made a demonstration concert at the Royal Conservatory of The Hague in early 1993 before dying in Moscow, Russia in 1993. English poet, writer and broadcaster Sir John Betjeman, CBE. was Born 28 August 1906. He was the son of a prosperous silverware maker of Dutch descent. His parents, Mabel (née Dawson) and Ernest Betjemann, had a family firm at 34–42 Pentonville Road which manufactured the kind of ornamental household furniture and gadgets distinctive to Victorians. During the First World War the family name was changed to the less German-looking “Betjeman”. His father’s forebears had actually come from the present day Netherlands more than a century earlier, setting up their home and business in Islington, London, and during the Fourth Anglo-Dutch War had, ironically, added the extra “-n” to avoid the anti-Dutch sentiment existing at the time. Betjeman’s early schooling was at the local Byron House and Highgate School, London where he was taught by the poet T. S. Eliot. After this, he boarded at the Dragon School preparatory school in North Oxford and Marlborough College, a public school in Wiltshire. In his penultimate year, he joined the secret ‘Society of Amici’ in which he was a contemporary of both Louis MacNeice and Graham Shepard. While at school, his exposure to the works of Arthur Machen won him over to High Church Anglicanism, a conversion of importance to his later writing and conception of the arts. Betjeman studied at the newly created School of English Language and Literature at Magdalen College , Oxford University ,where he dedicated most of his time to cultivating his social life, his interest in English ecclesiastical architecture, and to private literary pursuits.He also had a poem published in Isis, the university magazine and was editor of the Cherwell student newspaper during 1927. His first book of poems was privately printed with the help of fellow-student Edward James. Betjeman left Oxford without a degree but he had made the acquaintance of people who would influence his work. After university, Betjeman worked briefly as a private secretary, school teacher and film critic for the Evening Standard. He was employed by the Architectural Review between 1930 and 1935, as a full time assistant editor, following their publishing of some of his freelance work. At this time, while his prose style matured, he joined the MARS Group, an organisation of young modernist architects and architectural critics in Britain.The Shell Guides, were developed by Betjeman and Jack Beddington, a friend who was publicity manager with Shell-Mex Ltd. The series aimed to guide Britain’s growing number of motorists around the counties of Britain and their historical sites. They were published by the Architectural Press and financed by Shell. By the start of World War II 13 had been published, of which Cornwall (1934) and Devon (1936) had been written by Betjeman. A third, Shropshire, was written with and designed by his good friend John Piper in 1951. Upon the outbreak of World War II In 1939, Betjeman was rejected for active service but found work with the films division of the Ministry of Information. During his time he wrote a number of poems based on his experiences in “Emergency” World War II Ireland including “The Irish Unionist’s Farewell to Greta Hellstrom in 1922″ (actually written during the war) which contained the refrain “Dungarvan in the rain”. After the war Betjaman published more work and By 1948 he had published more than a dozen books. Five of these were verse collections and The popularity of the book prompted Ken Russell to make a film about him, John Betjeman: A Poet in London which was first shown in England on BBC’s Monitor programme. He continued writing guidebooks and works on architecture during the 1960s and 1970s and started broadcasting. He was also a founder member of The Victorian Society (1958). In 1973 he made a widely acclaimed television documentary for the BBC called Metro-land, directed by Edward Mirzoeff. Betjeman was also fond of the ghost stories of M.R. James and supplied an introduction to Peter Haining’s book M.R. James – Book of the Supernatural. Betjeman also wrote a great many poems which are often humorous and in broadcasting he exploited his bumbling and fogeyish image. His wryly comic verse is accessible and has attracted a great following for its satirical and observant grace. Betjeman s religious beliefs come through in some of his poems .Betjeman became Poet Laureate in 1972, the first Knight Bachelor ever to be appointed (the only other, Sir William Davenant, had been knighted after his appointment). This role, combined with his popularity as a television performer, ensured that his poetry eventually reached an enormous audience. Betjeman also had a fondness for Victorian architecture and wrote on this subject in First and Last Loves (1952) and more extensively in London’s Historic Railway Stations in 1972, defending the beauty of the twelve London railway stations. He led the campaign to save Holy Trinity, Sloane Street in London when it was threatened with demolition in the early 1970s. He fought a spirited but ultimately unsuccessful campaign to save the Propylaeum, known commonly as the Euston Arch, London. He is considered instrumental in helping to save the famous façade of St Pancras railway station, London and was commemorated when it re-opened as an international and domestic terminus in November 2007. He called the plan to demolish St Pancras a “criminal folly”. ” On the re-opening St Pancras in 2007, a statue of Betjeman was commissioned from curators Futurecity. A proposal by artist Martin Jennings was selected from a shortlist. The finished work was erected in the station at platform level, including a series of slate roundels depicting selections of Betjeman’s writings. Betjeman responded to architecture as the visible manifestation of society’s spiritual life as well as its political and economic structure. He attacked speculators and bureaucrats for what he saw as their rapacity and lack of imagination. Sir John Betjeman sadly died 19 May 1984 and He is buried in the churchyard at St Enodoc’s Church. During his life he recieved many honours including the Queen’s Medal for Poetry, CBE (Commander of the Order of the British Empire), Companion of Literature, the Royal Society of Literature, a Knight Bachelor he was also made an Honorary Member, the American Academy of Arts in 1973 and was made poet Laureate in 1972. He was a founding member of the Victorian Society and a passionate defender of Victorian architecture. He Started his career as a journalist, and ended it as one of the most popular British Poets Laureates and a much-loved figure on British television. To commemorate Betjeman A memorial window, designed by John Piper, is set in All Saints’ Church, Farnborough, Berkshire, where Betjeman lived in the adjoining Rectory and there is also The Betjeman Millennium Park at Wantage in Oxfordshire as well as a statue of John Betjeman at St Pancras station by sculptor Martin Jennings which was unveiled in 2007. In addition The John Betjeman Young People’s Poetry Competition was inaugurated in 2006 to celebrate Betjeman’s centenary. The competition is open to 11–14 year olds living anywhere in the British Isles and the Republic of Ireland. The spirit behind the competition is to encourage young people to understand and appreciate the importance of place.